The ESP LTD F-4E Electric Bass Guitar is part of ESP's standard & deluxe F Series, offering great tone with unmatched design. 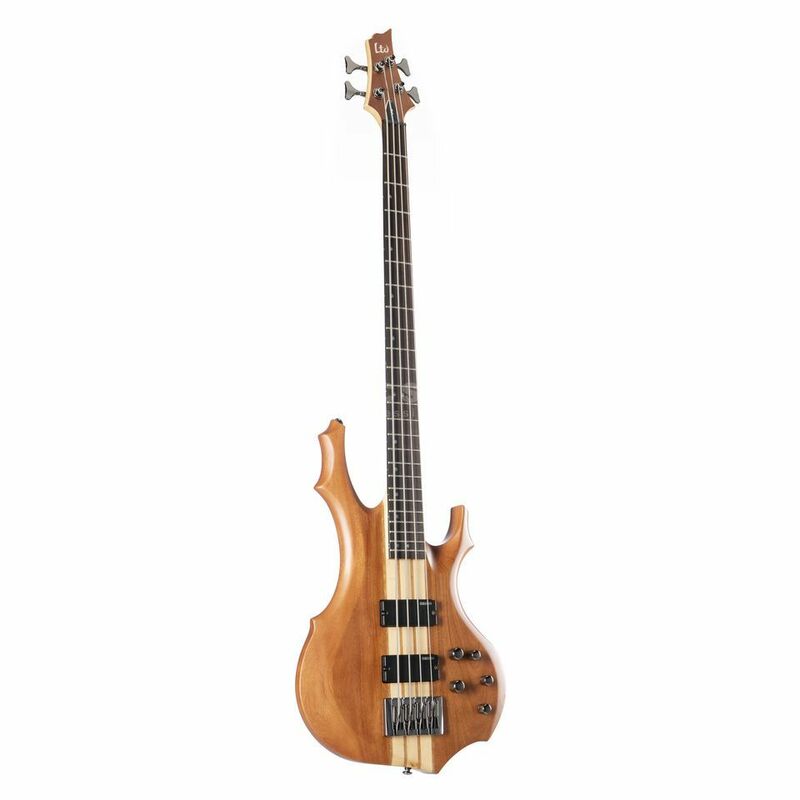 The ESP LTD F-4E Electric Bass Guitar is one of LTD's more exotic bass guitars featuring some amazing tone woods including a Mahogany Body with Ebony Top, 5 Pc Maple/Mahogany Neck with Neck-Thru-Body Construction, topped with a Ebony Fingerboard. A Natural Satin finish highlights the amazing quality of these exotic woods. Two strategically placed ESP SB-4 pickups on the bridge and neck provide the ESP LTD F-4E with its warm tones, helped by the assistance of the ESP ABQ-3 3-Band Active EQ system. The combination of exotic tone woods and high quality electronics gives the ESP F-4E a whole library of tonal capabilities.